BMW of Westchester, our staff is committed to helping drivers all across the region with their car-buying process from beginning to end. Our inventory includes a long list of standout pre-owned BMW choices. Our pre-owned BMW vehicles for sale near Yonkers, NY, are the same great ones you’ll find in our new inventory. However, these models may better fit into your lifestyle, particularly if you’re not looking for something brand new. We invite you to shop our inventory online any time or to visit us in person at our dealership. The pre-owned BMW inventory at our dealership is always evolving. Here, you’ll find cars like the sporty 3 Series, the powerful 5 Series, and spacious SUVs like the X1 and X5. We’re always doing our best to bring affordable options to car buyers in the Yonkers area with the valuable pre-owned BMW vehicles available. These late-model, low-mileage BMW vehicles provide a certain sense of luxury. There’s always the selection of BMW Certified Pre-Owned vehicles as well. To even be eligible for the program, every late-model BMW must have fewer than 60,000 miles on the odometer. They’ll go through an extensive inspection as the technicians in our service center look at safety, performance, and wear. If the car cannot be thoroughly reconditioned to BMW standards, it won’t be certified. On our website, you’ll find used BMW deals and current pre-owned BMW specials. From time to time, we like to highlight vehicles that we think deserve attention, so you’ll also find those here. Now you’ve found the BMW you want to drive home after taking it out for a spin. Test drive completed and in the rearview mirror, it’s time to discuss financing your purchase. Our financial professionals will guide you through the buying process and discuss different options with payments tailored to your lifestyle. We’ll take the time to go over insurance, registration and title information, and monthly payments. Considering trading in your existing ride when purchasing your next car? Use the trade-in value tool on our website to get an idea of how much it may be worth. Yonkers is a great place to be for families, young professionals, and senior citizens alike with neighborhoods offering a diverse feel. From tree-lined areas to busy city living, Yonkers truly has something for everyone. There are numerous educational and cultural opportunities in the area from the Hudson River Museum to Yonkers Arts Weekend. For those seeking outdoor fun, there are many waterfront parks and walkways along with kayaking and boating on the Hudson River. The expansive Tibbetts Brook Park is a wonderful place to spend time whether you’re biking, hiking, or out with your canine friend. 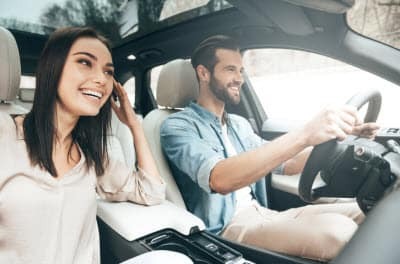 Buying a used BMW near Yonkers, NY, is a great way to get behind the wheel of a luxury vehicle. The large inventory at BMW of Westchester provides drivers with many standout options. We look forward to seeing you at our showroom, but remember—it’s easy to shop our inventory online whenever you’d like.